This book presents a multidisciplinary and multifaceted view of the state of corporate social responsibility (CSR) development in organizations in different industries around the world. It is based on the assumption that companies today must shift their focus to their long-term prosperity and the complex and interrelated environmental, social, economic and political ecosystems within which they function. The book tracks ideas through to impacts, offering unique perspectives on stimulating topics such as awareness among female entrepreneurs in Nigeria, views of upper-management in Polish firms, Japanese CSR strategies and the social relevance of corporate initiatives, pragmatic approaches of CSR design principles in Scandinavia and many more. The book collects not only examples from different countries and global regions, but also cases from a diverse range of globally relevant industries. 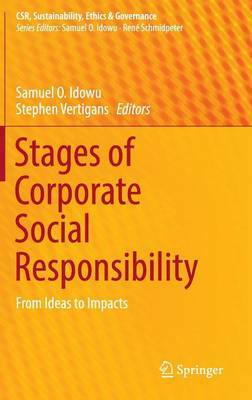 It discusses the different stages of CSR development at a professional, conceptual and strategic level, and integrates them into a comprehensive framework to define the adequate course of action for each stage.